Enterprise systems are gaining interest from both international practitioners and researchers, and this paper investigates enterprise systems management and implementation issues comparing Eastern and Western end users. This issue is important because currently enterprise systems involve end-users with different cultural backgrounds in the East and West. Thus, this paper applies enterprise systems adoption issues to cross-cultural end user perspectives in Japan (East) and the U.S. (West), based on the innovation diffusion theory, the self-determinant theory, and Hofstede’s cultural dimensions. Academic and practical implications are discussed in the paper based on empirical findings found deeper in this paper. Enterprise systems are usually large systems involving different types of stakeholders as end users in the organization (Akkermans & van Helden, 2002; Burns, Jung, & Hoffman, 2009). Enterprise systems are gaining interest from both practitioners and researchers because these systems are essential to organizational and individual user’s productivity. Although the direct influence of enterprise systems on firm performance has been debated in the Information Systems (IS) community for a long time, the importance of systems adoption by the end users is consistently emphasized for the successful implementation of enterprise systems (Davison, 2002). Furthermore, given the implementation environment of enterprise systems with globalization involving Europe (Hanseth, Ciborra, & Braa, 2001) and Asia (Martinsons, 2004; Liang, Xue, Boulton, & Byrd, 2004), the complexity inherent in the adoption of these systems becomes an important issue for international communities. Specifically, there is a research stream that investigates enterprise systems management and implementation issues which compares different country end users based on cultural differences. For example, Martinsons (2004) found that ERP projects in the East almost invariably failed to be completed within the scheduled time frame, but only rarely did they exceed the planned budget. Additional people and materials were often reallocated to the projects during implementation, but this was usually done on an informal basis. Official budgets were unaffected. Secondly, ERP projects rarely improved cycle times or customer satisfaction in the East. Instead, the major benefits were reductions in unit labor costs and/or inventory levels. The Eastern organizations implementing ERP often reorganized task responsibilities and/or consolidated key processes. However, they were rarely able to improve their responses to customer needs. These outcomes raise questions about the value of ERP in dynamic environments that reward flexibility rather than efficiency. The third similar outcome provides a cautionary note for all IT specialists: projects initiated by IT personnel (such as the CIO or IT manager) were much less likely to be successful than those begun by general management—the big boss in the hierarchical Eastern organization. Many studies have looked into IT adoption (including ERP adoption) in various countries/regions, explicitly or implicitly suggesting that culture plays an important role and different cultures demonstrate different adoption patterns (e.g., Van Everdingen & Waarts, 2003). These issues are important because currently enterprise systems involve end users with different cultural backgrounds in the East and West. 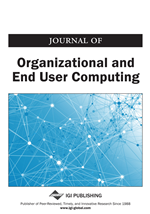 Thus, this paper applies the enterprise systems adoption issue to the cross-cultural end user perspectives in Japan (East) and the U.S. (West). IS researchers have been investigating the implementation and adoption issues of enterprise systems based on organizational IS management perspectives. Self determination theory (Deci & Ryan, 1985; Korpelainen, Vartiainen, & Kira, 2010) showed that all individuals have natural, innate, and constructive tendencies to develop an ever more elaborate and unified sense of self. It focuses on how individuals develop a coherent sense of self through regulation of their behavioral actions that may be self-determined, controlled, or motivated. Self determination theory emphasizes an individual’s intrinsic motivation (perceived enjoyment) as a main behavioral mechanism in general social behavior. Rogers’ (1983) innovation diffusion theory shows that diffusion is the process by which an innovation is communicated through certain channels over time among the members of a social system. Moore and Benbasat (1991) extended the set of perceptions proposed by Rogers (1983) to include seven perceived characteristics of an innovation as predictors of IT adoption behavior. Agarwal and Prasad (1998) also provided Personal Innovativeness in IT (PIIT), the willingness of an individual to try out any new information technology, as a trait and a relatively stable predictor of individuals that is invariant across situational considerations. They provided valid measures of PIIT and showed that PIIT has an effect between perceptions about new IT (relative advantage, PEOU and compatibility) and intention to use new IT, such as enterprise systems.